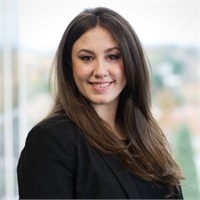 Taylor previously worked for Waddell & Reed's Portland Division office prior to working with Bridgetown Wealth Management. She's been with this advisor group since 2013 , and has enjoyed getting to know the clients and learning about the facets of portfolio management and the financial planning process. Taylor, along with Corinna, strive to provide a superior level of service to clients. Taylor‘s primary responsibilities are to process orders for clients, and monitor transactional paperwork. She prides herself on being able to find answers. When clients call or email, she see's it as an opportunity to show the value of working with a financial planning team. She graduated from Southern Oregon University in 2010, with a BS in Psychology. 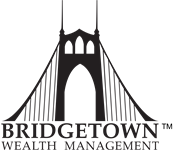 Her interests include all things artistic, she recently collaborated with a graphic designer to design the Bridgetown Wealth Management logo. She is a huge sports fan. As a former fastpich softball pitcher, she now enjoys traveling to watch her Fiance play competitive men's fastpitch softball, and together they spend summers at ball parks all over the US and Canada. She jumps at the opportunity to attend any Blazers, Hops, and Winterhwaks games. As a Portland native, anytime she can get to the coast, or Mt. Hood, she's a happy Portlander! Taylor is not employed by Wadderll & Reed, but acts as a non-registered associated person of Bridgetown Wealth Management. She is authorized to assist Financial Advisors with approved activities. She is prohibited from soliciting, creating a market or account for any securities, investment advisory or insurance services. These activities are the sole responsibility of the Financial Advisors, in addition Taylor is not authorized to enter into any contractual obligations on behalf of Waddell & Reed, Inc. or otherwise bind the firm.